Workers' Compensation is not just one of the most important policies in your portfolio - it's also the most entertaining! Who knew that work as a San Diego County supervisor could be so demanding? Dave Roberts, a one-term politician, filed two workers' compensation claims for harm he said was done to him while serving his term. Roberts filed his first claim after being confronted by a man he said charged at him while waving a table fork while Roberts was preparing to speak at a work event. The former supervisor pleaded psychological stress from the incident, and because no one else was with him at the time, there was no one to corroborate Roberts' claim. Roberts filed his second workers' compensation claim after losing re-election in 2016. He claimed that repetitive tasks and a stressful work environment had caused cumulative trauma to the right side of his body, starting at his hand and extending to his neck and back. Trauma was apparently common in Roberts' circles because eight of his 11 staff members resigned while he was still in office, and three female staffers filed legal claims accusing him of improprieties. The County of San Diego spent more than $300,000 settling those claims. Tim Tokles convinced workers' compensation officials that he was impaired for life, due to a 2012 on-the-job eye injury that supposedly left him unable to read, drive, or use a computer. But the 60-year-old Holland, Ohio resident must have gotten bored pretending to be sight impaired because about a year later, he was observed parking cars and directing traffic in a Toledo parking lot-one owned by Tokles himself. Upon being confronted by visiting insurance investigators, Tokles explained that he still couldn't see well enough to drive, but was able to direct cars into parking slots. Investigators had eyeballed Tokles behind the wheel, so when it came to Tokles' true abilities no one was left in the dark. In August 2017 Tokles was charged with first-degree misdemeanor theft and pled guilty. A judge then ordered him to pay back the nearly $15,000 he had collected in workers' compensation benefits from 2012 to 2013, and to serve five years of probation. We bet if Tokles' first payment is late, no one at the Ohio Bureau of Workers' Compensation will turn a blind eye. Wendy Jarvis, 51, of Marcy, New York must have been hoping for early retirement last year when she reported that a patient in her care had violently attacked her and other staff members; Jarvis also filed for workers' compensation. But the state of New York investigated, and Jarvis's story came unglued. No other staff persons were attacked, as she had claimed, and video recordings from the psychiatric center showed that in fact Jarvis lunged at and knocked her patient to the ground. Jarvis was subsequently arrested and charged with endangering the welfare of an incompetent or physically disabled person and filing a false workers' compensation report. In a news release, New York State Inspector General Catherine Leahy Scott called Jarvis's attack "disgraceful and unforgivable," and claimed it was an effort to enrich herself at the expense of a patient who remains in the state's care. Welcome to the November Edition of Tow Tips! For many Tow Tips readers the holidays may be filled with laughter & cheer but they’re also filled with a lot of work - and a vast majority of that work is done on the road. And here at Centerpointe Insurance we’re all about safety on the road! 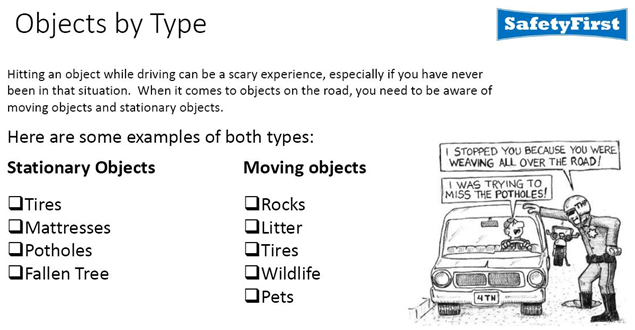 Last month we shared ways to recognize and avoid dangerous obstacles while driving. This month we thought it might be fun to share some Road Safety Tips we found from around the world to highlight some similarities (and a lot of differences!) 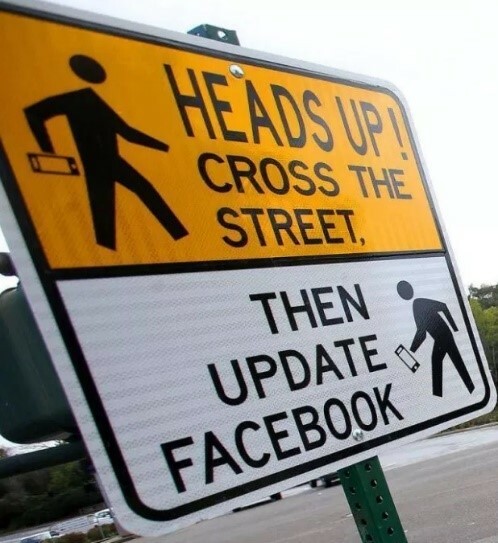 in our approaches to road safety. 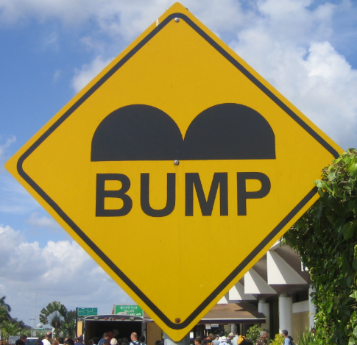 As an alternative to hiring a larger police force, many towns in Brazil resort to speed bumps. Some are huge and so steep they look like concrete cylinders. In theory, lombadas should be painted with bright stripes and there should be warning signs as well as signs at the bumps. But that doesn't always happen. 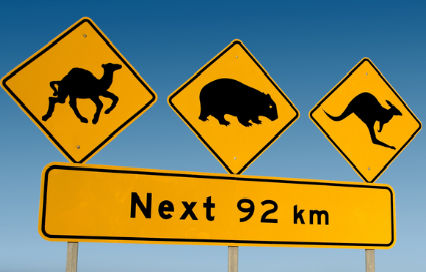 Kangaroos are particularly dangerous and will hop across the road directly in front of your vehicle, and then hop along the road rather than hop off it. Emus also run across roads and have no sense of directions and how to get out of the way. Off the main highways many roads run adjacent to farms that are unfenced, and stock on the road are common. According to the Association for Safe International Road Travel: “Be prepared to stop immediately when a traffic light turns to amber, as residents tend to anticipate the green light. Drivers frequently pass on the right, tailgate, cross solid lines or make illegal U-turns. They often fail to use turn signals, yield right of way, slow down to let others pass or dim high beams for oncoming traffic. Few people use seat belts. Some drivers swerve dangerously from lane to lane on wide boulevards, ignoring painted lanes and other drivers’ signaled intentions. Roundabouts - Roundabouts are not explained in Chinese driving test material, apart from that drivers on the roundabout should give way to vehicles entering without priority. So roundabouts have the ridiculously inefficient situation where only the vehicle that gets there first has priority and then only if it is bigger or travelling faster or with more “purpose”. Take care. Keeping to the outside of the roundabout is recommended. Be sure to pack reflective jackets (gilets) for everyone in the car. Make sure they are within reach inside the car. You need a breathalyzer/alcohol kit in your car. While the $13 fine for not carrying one has been postponed indefinitely, you are still required to have an approved breathalyzer in your car. Cows are holy in India, in fact a whopping 30% of the world's cattle live here. You will find them casually ambling along main roads in India, sometimes blocking traffic, and all you can do is wait for them to meander out of the way. 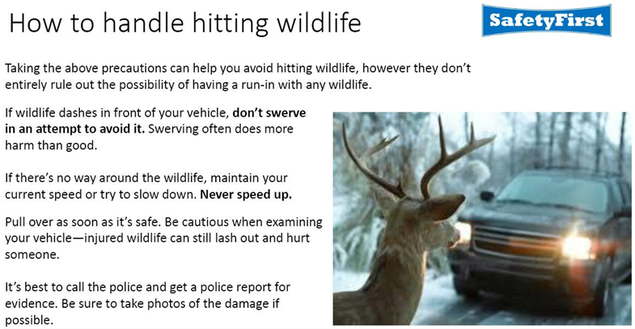 Or if you're traveling at high speeds (you or your driver, not the cow), swerve to avoid them. Running out of fuel on the Autobahn is illegal, as it as seen as a preventable circumstance, and leads to stopping on the Autobahn, which, as stated in rule 2, is prohibited. Passing on the right is strictly prohibited, and if caught engaging in such actions, heavy fines will apply. Saudi Arabia is routinely ranked as having some of the world’s highest number of accidents and fatalities. A Saudi Arabian study from 2012 estimated that by 2014, one person would die every hour on Saudi Arabia’s roads. With no national speed limit, lack of police enforcement, an abundance of fast cars and frequent rule breaking, the fatality rate is unsurprisingly high. 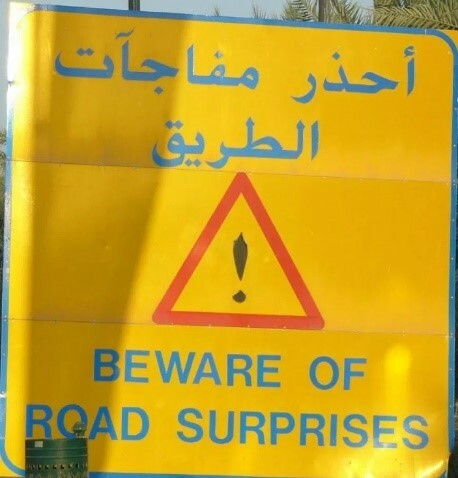 Studies show that women tend to be safer drivers than men and since they are prohibited from driving, a macho and competitive attitude has developed on Saudi Arabian roads, increasingly the overall danger. Welcome to the October Edition of Tow Tips! A towing company that drives safely is a towing company that saves lives, time and money! 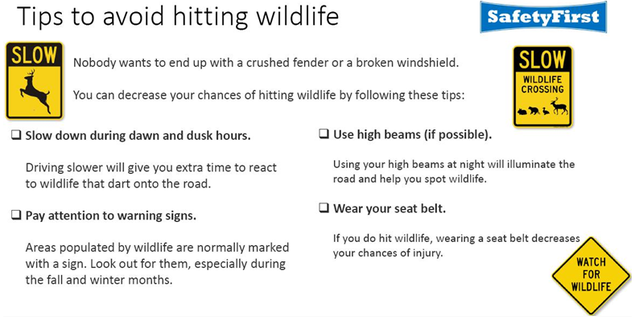 This month we feature safety tips that will help you avoid objects on the road. Nobody wants to run into something, but what about when what you're trying to avoid is running full speed right at you? Or can hop, jump or even fly in front of your vehicle without warning? 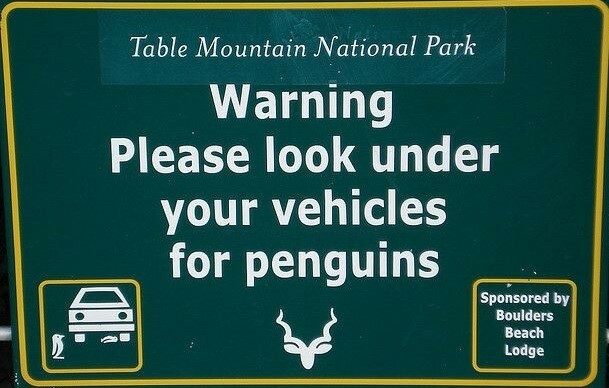 Wildlife happens! 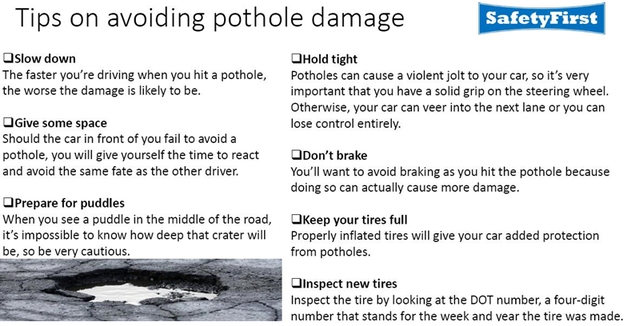 And not all potential pitfalls out on the road have four legs; potholes can destroy your wheels, alignment, suspension and tires; or worse yet cause an accident while swerving to miss them! And it's not just Auto Dismantlers! 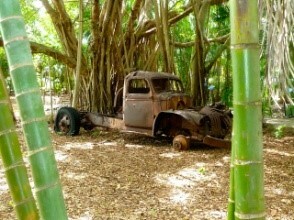 Salvage Yards and Auto Wreckers all do important work helping to keep the world a safer place. It’s not old pizza boxes or aluminum cans, nor is it piled up newspapers and empty bottles. 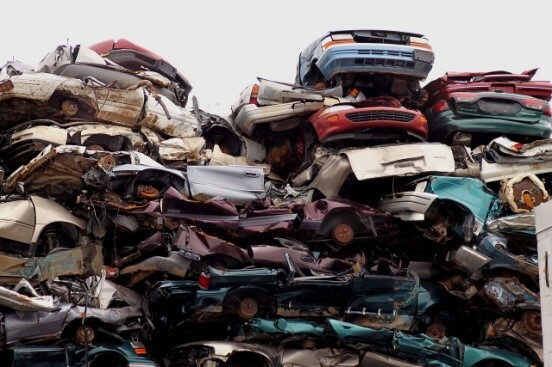 Automobiles, yes automobiles according to the Automotive Recyclers Association, are among the most recycled commodities in the marketplace today with the industry recycling over 4 million motor vehicles annually in the US and Canada alone. And it isn’t just the metal that is being recycled, dismantlers also recycle: gasoline, brake fluid, car batteries, antifreeze, tires, refrigerants, used motor oil, and the list goes on! In one area of New York alone 12,800 gallons of Antifreeze, 1,351 car batteries, 22,640 gallons of diesel fuel, 41,374 gallons of gasoline and 4,705 tires were kept out of landfills and recycled within one year. 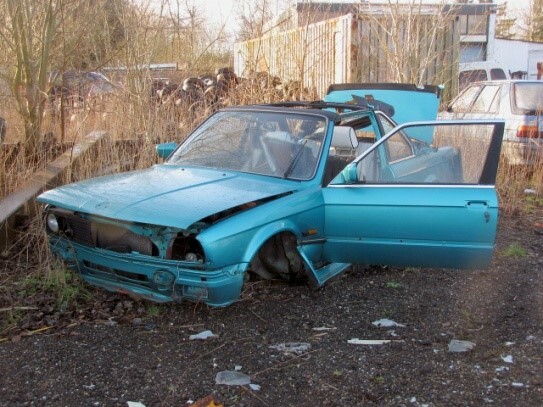 There’s another positive impact that Auto Dismantlers have, they help keep neighborhoods free of abandoned vehicles! When junk automobiles are abandoned on the side of the street this can adversely affect the health and safety of local residents, leaving the possibility of environmental destruction. Instead, not only are auto dismantlers treating these discarded vehicles without imposing environmental impact, they are also collecting (and then sharing!) the precious resources available. This helps eliminate resource risks (depletion, sudden rise and supply) along with battling global warming, not to mention keeping the blight of an abandoned vehicle off our streets. That’s wonderful news and great for the planet, but how about our pocketbooks? When these auto parts get recycled many are as good as new and passed on to the customer for up to 80% savings over the cost of new parts! This doesn’t just apply to the consumer either, body shops and insurance companies also save money with these lower prices for parts. Ultimately these savings can lead to lower premiums, which is more money back into the consumer’s pocket yet again! And don’t forget, according to the Automotive Recyclers Association the automotive recycling industry employs over 140,000 people in the United States and generates $32 Billion in sales nationwide; helping to support many other industries like shipping, waste removal, heavy equipment and towing. Auto Dismantlers, Salvage Yards and Auto Wreckers all do important work helping to keep the world a safer place and we here at Centerpointe Insurance appreciate all of their hard work and dedication. he internet can be a very useful tool for advertising your business. These days almost everyone has a website, facebook, instagram (or a million other ways!) that describes what you do and how you do it. Your website can be great for business, but it can also create unintended consequences. What you may not realize is that insurance company underwriters view your website during the process of evaluating your business for a quote. If they see something they don't like, your opportunity to get a quote can be declined. Many of the "beauty shots" with exotic vehicles are appealing to the towing industry but to an underwriter they are a red warning flag. Some of these exotic and high valued autos exceed the coverage limits you carry on your policy. To some underwriters, this type of operation doesn't even fall under the operations of disabled vehicle towing, but is considered auto transportation. In the 30 years we have insured the towing industry we've seen just about every imaginable object on and around tow trucks, from airplanes to military tanks. It has become common practice to include photos of this nature on websites but in today's insurance marketplace that can hurt you not help you. We also see a lot of business descriptions that imply "we do everything from A - Z, anywhere in the country" but that may also hurt you as well! Take a look at your website and try to see it through the eyes of an underwriter. The snapshot of your rotator lowering an air conditioning unit onto the roof of a building is going to get your insurance cancelled, or at the very least, you won't have access to all the companies that quote your class of business. It is understandable to look for every opportunity for revenue, and you don't want to miss a job just because of your website, but it is very important that your website reflect the actual things you do and where you do them. If your business has a specialization, like construction equipment hauling, be specific about the types of equipment you haul and where you haul it to. When the radius of your average business operations goes from local to long distance rates can really go up. Type your business name into your browser and see what pops up. Are you aware that your customers can post reviews about your business? You want to make sure that negative reviews are dealt with immediately. There are all sorts of social media today; Twitter, facebook, Youtube, and of course the worst of all, Reality TV. You want to continually make sure that on the internet your business is represented fairly and accurately. If you had back surgery for a workplace injury at Pacific Hospital in Long Beach, California, call the cops -- you could be one of more than 4,400 people who unknowingly participated in a $600 million fraud scheme dubbed "Operation Spinal Cap" by the U.S. Department of Justice. Federal prosecutors said the ruse occurred over a 15-year period, and the majority of cases were paid for by the California workers' compensation system. Patients were treated like livestock, herded to the now-defunct Long Beach hospital for back surgeries instead of being referred to institutions closer to their homes. In return, two physicians, two chiropractors, and a former hospital executive allegedly paid kickbacks of $10,000 to $20,000 to referring doctors for each surgery. As of last November, two defendants had pled guilty and the other three were expected to do the same. But all five are reportedly bending over backward to cooperate in the ongoing investigation. Aaron English liked to keep things "interesting" at Uncompahgre Valley Water Users Association, the Montrose Colorado facility where he was employed as a supervisor. He did this by hiding makeshift bombs around the property and in vehicles workers used, firing a potato gun at workers while they were on the job, and inserting feces into employees' lunch boxes. But flying objects hit the fan after employee Bill Bailey was fired for complaining about the work environment, and soon after leaving the company, filed for workers' compensation benefits and disability, claiming he'd lost his hearing from the explosion of a homemade bomb made by English. At Bailey's disability hearing, English readily admitted making and detonating the bomb that injured Bailey, and proudly gave detailed information about his many other pranks. The judge ruled the water association responsible for Bailey's termination and his injury, ordering the organization to cover all Bailey's disability payments. Ronald Scott Dee, owner of Venetian Stone Works in Irvine, California, called his insurance carrier to accuse an employee of filing a false claim for a finger he lost on the job. When the claims adjuster called the employee to investigate the suspected fraud, she learned he'd been using an old table saw without guards when the injury occurred. The employee also let it slip that while he worked for one of Dee's businesses, he received paychecks from two different companies, both owned by Dee. This information led to an investigation of Dee's businesses - and a fistful of charges that could put Dee and his bookkeeper away for more than 60 years. Investigators found the company had operated for three years without workers' compensation insurance and was underreporting payroll, wrongly classifying employees as independent contractors, and failing to report claims. Charges of insurance fraud were filed, and since then, additional charges have been brought by the State of California's Employment Development Department against Dee and his bookkeeper, for failure to file tax reports from 2006 to 2013 and for underreporting payroll. 4 Safety Tips You Can't Live Without! What can a safe workplace do for you? The benefits of maintaining a safe work environment are many, but the first and foremost, safety is about what you can do to protect your workers. It’s the right thing to do! A safe work environment boosts employee morale, which increases productivity. A safe workplace also impacts your company’s bottom line both directly and indirectly. Costs associated with incidents, worker’s comp claims, insurance costs and legal fees are minimized in a safe work environment. FEDERAL LAW requires that you must be trained in the safe methods of performing your job. You need to know about the workplace hazards to which you may be exposed, how to recognize the hazards, and how to control any exposure that may be present. The best way to gain this knowledge is through education and training. WHY EDUCATION? Education teaches why safe practices and procedures are important; education affects attitudes about safety; and attitudes affect behavior. WHY TRAINING? Training improves the skills necessary for working safely. You must know the safety and health rules; how to identify any worksite hazards, safe work procedures and what to do in emergencies. WHY DOCUMENT training and education? Experienced workers know that putting things in writing has benefits more valuable than just avoiding an OSHA citation. Putting things in writing has value in legal proceedings, in employment matters, in dealings with other government agencies, and recording the progress toward achieving a safe, healthful workplace. 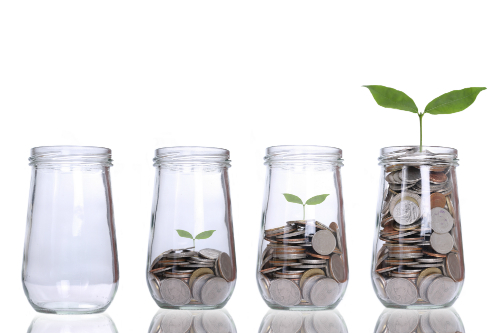 5 Money Saving Tips for your Business Insurance! Business insurance provides essential protection for you and your business. It can prevent the financial losses that may occur as the result of unexpected problems or accidents from affecting your finances and your ability to keep your business running. It is necessary; however, there are ways you can save money on your business insurance. SHOP AROUND. Centerpointe can shop for you! Prices vary from company to company, so it pays to shop to find protection suited to what you ‘re looking for: a price that’s right without compromising coverage. CHOOSE A HIGHER DEDUCTIBLE. The higher the deductible, the lower your insurance premium, keeping in mind to not set the deductible so high it will be a financial burden for you to pay if you happen to have a loss. BUY A PACKAGE POLICY. When you buy all your business insurance from one insurer (as commercial property and general liability) you’ll likely get the best price. ASK ABOUT DISCOUNTS. Did you know that your membership in your professional association could qualify you for a discount? ASK ABOUT LOSS PREVENTION RECOMMENDATIONS THAT WILL LOWER YOUR PREMIUMS. Request a loss prevention inspection and audit, then follow through with the recommendations. Implementing safety programs, installing alarms and sprinklers could reduce potential future claims and could lower your premium. Did you know that having a guard dog could actually increase your premium? 5 Dos and Don'ts for your Holiday Party! Holiday parties are a way to introduce fun into the workday, relax and a great way for companies to make employees feel appreciated. However, it is important to be familiar with the potential legal consequences involved with hosting a party. Here are five legal dos and don'ts for your business holiday festivities which will keep you off the "naughty" list. 1. DON’T make your party about one holiday or another. Your end of the year and/or holiday celebration should be inclusive of all employees' beliefs and cultures. By doing so you will likely save your company from possible religious discrimination. 2. DO provide rides home. Alcoholic beverages are often viewed as an essential ingredient for a party. When employers serve alcohol at a party, they may be taking responsibility for their guests' consumption. If a guest who is drunk goes on to drive drunk and/or cause damage or injury, there is a possibility that the employer will be held liable. Offer cabs or designated drivers to send guests on their merry way and always offer plenty of food with a large assortment of soft drinks, sparkling juices and water. 3. DON’T make your Holiday Party mandatory. If you tell your employees that attendance at your Holiday Party is required, you may open up your business to a host of Fair Labor Standards Act claims by not paying hourly employees for the time spent at the party. 4. DO host a family event. If possible, hosting a family event instead of limiting your party attendees to just the employees is likely to reduce the potential for harassment issues. A relaxed fun atmosphere combined with alcohol can quickly erode inhibitions. Remind employees that the employee handbook still applies to holiday parties. Be clear on what costumes or dress is or is not appropriate to wear at the party. Also, remind employees about social media policies. Nobody wants to relive the office party highlights on YouTube! 5. DON’T forget safety. Hosting a party is a great opportunity to check for possible hazards which could bring injury to your valued employees and/or their guests. Check your walkways and stairways for potential falling or tripping hazards. 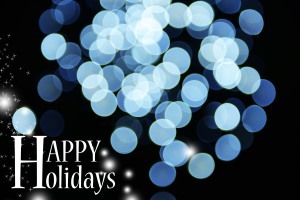 Happy Holidays and cheers to the Holiday Party! Yes, it is possible to have a legally safe party at your business as long as you take steps to limit liability. No need to be the Grinch…with the few reminders above employers and employees alike will eat, drink and be VERY MERRY! Did you know as a valued client of Centerpointe Insurance, you would have free access to legal experts and lawyers which could give you specific legal guidance regarding your holiday celebrations, FREE OF CHARGE? Please call for more information regarding the exclusive benefits available through our partnership with BizAssure and best wishes for a safe and wonderful Holiday Season! An employee handbook offers a number of advantages for your business. In addition to protecting your company from liability, a well-written handbook will clarify expectations and outline policies/procedures. While preparing your handbook may seem like a huge undertaking, getting everything down on paper can actually help simplify your day-to-day business operations. Spelling out requirements for employees helps the workplace run smoothly and provides the ammunition you need to defend yourself in the event of employee lawsuits or unwarranted unemployment claims. 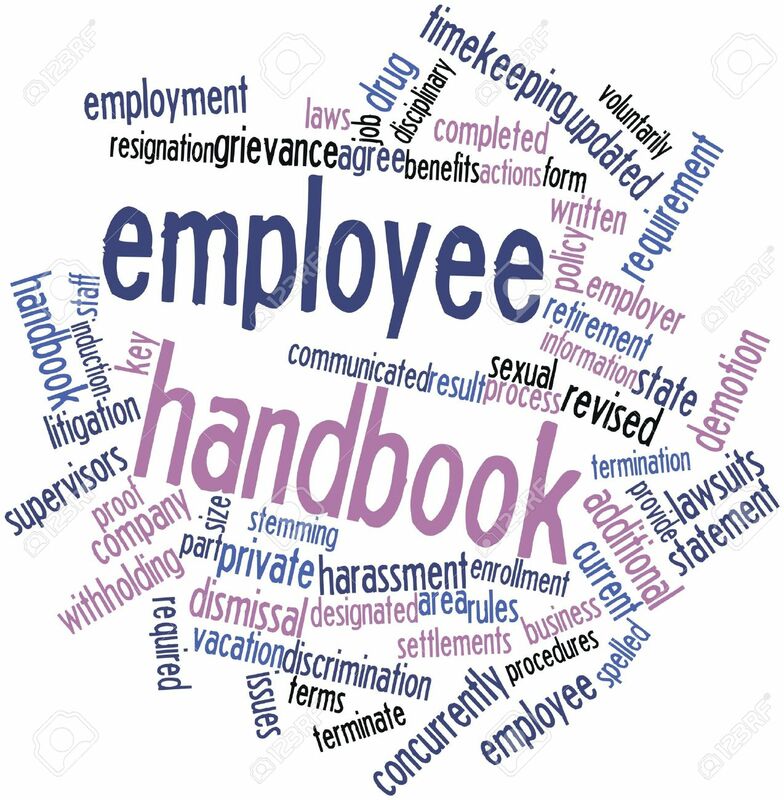 Your handbook is the place to outline your expectations for employee behavior and performance, so that in the event that employees fail to comply, you’ll have evidence to support any decision to discipline or terminate. Your employee handbook can clearly outline your policies and practices regarding pay, overtime, work hours and other key factors which could affect employment. Be sure your handbook also explains any specific procedures your employees will need to follow with regard to any of these matters. You can use your handbook to spell out the benefits you provide for your employees, from workers compensation to health insurance and from paid vacation and sick leave to your 401K retirement plan. Any benefits you offer can be categorized, listed, and described in your handbook based on whether you cover the cost fully, partially, or offer the benefit at a discounted rate. Your handbook will serve as a reliable guideline for day-to-day decision-making that can help you apply your company’s policies more fairly and consistently. A handbook is one way to make sure the information that’s required by law to be made available to your employees is readily accessible to them at all times. Don’t put your Employee Handbook on the back burner! It’s one of the single best forms of protection your company has! Find out how Centerpointe Insurance can help get you a quality & compliant handbook for a significant discount through our BizAssure partnership, and how you can keep it compliant every year thereafter completely free of charge. 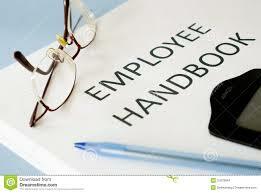 Our clients are able to receive free Employee Handbook assessments!!! Read more about BizAssure on our website or call us at 800-451-8766. HOW WILL CENTERPOINTE INSURANCE HELP PROTECT YOUR BUSINESS THROUGH BIZASSURE? ARE YOU IN THE TRUCKING INDUSTRY? Then we have some amazing services available for your business through our EXCLUSIVE partnership with BizAssure! 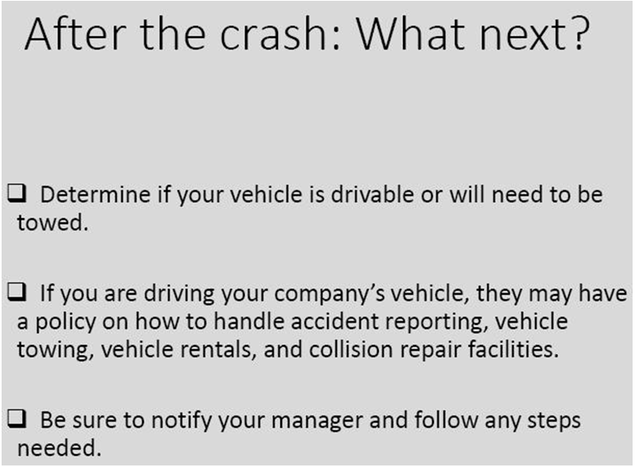 As a valued client of Centerpointe Insurance you could become a BizAssure member and be eligible for many benefits such as the TRUCKABILITY example listed below. Whether your business needs consulting, training, or legal help, BizAssure can provide you with top-notch services free of charge or at a BizAssure discount. BizAssure's Truckability Team is built upon retired law enforcement officers and a dedicated legal team that guarantees the best possible service in the industry. Some of the benefits you can expect from this service: Then we have some amazing services available for your business through our EXCLUSIVE partnership with BizAssure! As a valued client of Centerpointe Insurance you could become a BizAssure member and be eligible for many benefits such as the TRUCKABILITY example listed below. Whether your business needs consulting, training, or legal help, BizAssure can provide you with top-notch services free of charge or at a BizAssure discount. BizAssure's Truckability Team is built upon retired law enforcement officers and a dedicated legal team that guarantees the best possible service in the industry. Can guide you how to properly inspect your truck over the phone, or inspect your truck in person, making sure you're always compliant. Help you be compliant in Hazardous Materials, FMCS, and CSA criteria. CSA and Roadside Inspections training will help to lower company’s overall CSA scores. Mechanical Inspection Program teaches the inspection process used by State Troopers on the road. Helps mechanics master the DOT “Out of Service” criteria. Hazardous Materials, monetary fine negotiation and arbitration. OT Overweight Defense, in both arbitration and the courtroom. Just another way Centerpointe Insurance and BizAssure helps you Control It All! From oil changes to engine rebuilds, your customers rely on your dedicated service to keep their vehicles on the road. We want to bring that same attention and care to protecting your business. Auto service insurance from Allied can help you manage business disruptions and daily risks to minimize your losses. Part of auto repair involves making sure vehicles are safe from unexpected problems. Our business protection can provide the same service for you shop. Auto service insurance protects your business from common risk you face, incuding faulty repairs or installs that lead to financial liability, damage to a customer's vehicle that's in your car, power outages that down systems or equipment, damaged buidlings or stolen equipment. Helps cover equipment, credit card systems and car lifts, should they break down, including instances where the utility provider is at fault. Helps cover the cost of fixing or replacing broken or stolen equipment. Increases protection limits for things like replacing locks, portable tools and equipment, and polutant cleanup and removal. Setting the standard in business protection. With Allied, these core coverages come standard. Helps cover medical and legal fees if for example, a customer slips and falls in your store or if you sell or install a defective auto part. Helps protect you when your insurance doesn't fully cover your financial liabilities. Covers damages to or theft of vehicles that are in your care. 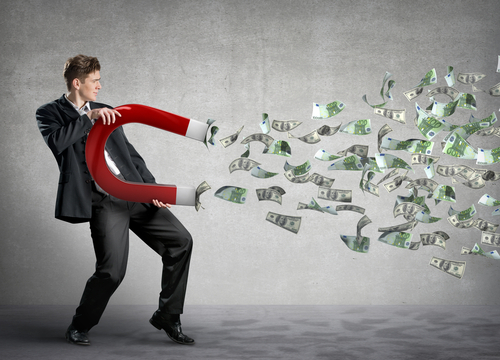 5 Tips For Saving Workers' Compensation Cost! At Centerpointe we understand the rising cost of Workers' compensation is affecting your business. We are always available to help you make smart business and insurance choices which will save you money. Below are tips we urge our customers to take which could reduce Workers' Comp costs. 1. Contact us to help you establish an "Injury and Illness Prevention Program." As a valued Centerpointe Insurance customer you would receive free unlimited Workers' Compensation cost reduction consultations through our exclusive BizAssure Risk Management partnership. 2. Clearly understand your class codes. The most common dispute with a comp carrier is the misclassification of an employee. The WCIRB defines the parameters for each class. Making small changes in how your clerical staff operate can save you many thousands of dollars over the long run. Centerpointe can provide the definitions for class codes to you and help analyze your potential for misclassification. 3. Promote safety! Ensure you conduct monthly safety meetings. Promoting safety reduces the odds of employee injuries. 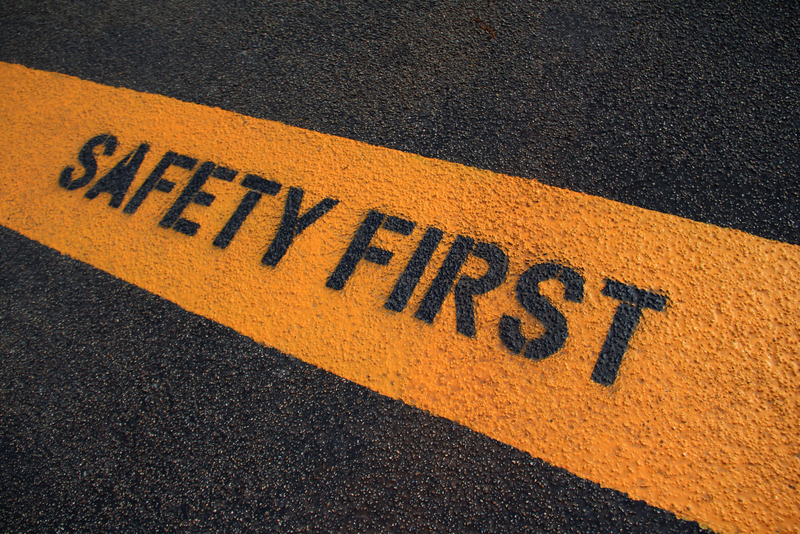 Centerpointe provides monthly safety meeting topics for you on our website. 4. Educate managers, supervisors and employees on what to do in case of a workplace injury. Identify who will report claims to your insurance company. It is essential that your insurance company is notified as soon as possible so they can help you arrange medical care for your employee and gather facts about the incident to prevent others from suffering the same injury. 5. Implement a Return-to-Work program. Injured employees who return to work, even in a limited capacity regain their ability to earn a paycheck. Their safe and speedy return helps control claim costs. CALL CENTERPOINTE INSURANCE TODAY IF YOU WOULD LIKE ADDITIONAL INFORMATION ON HOW YOU COULD REDUCE YOUR WORKERS' COMPENSATION COSTS! We offer exclusive benefits and services different than other insurance agencies and are here to help you with all of your business needs. 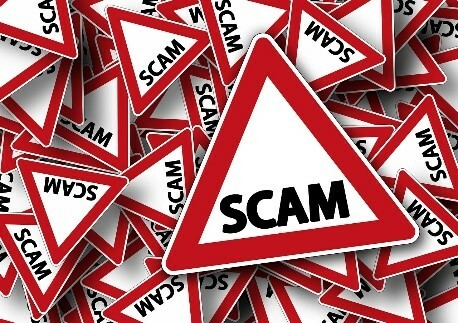 5 Tips For Preventing Workers' Compensation Fraud! Workers' Comp fraud is a large and complex problem. 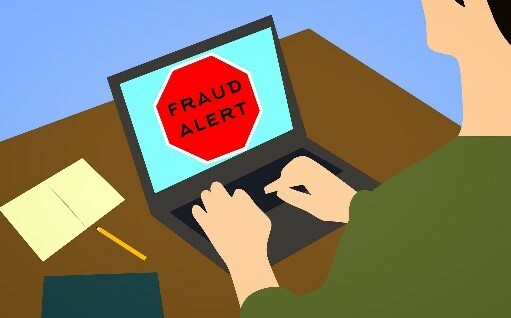 The possibility of fraud can be frustrating and very costly. At times it may seem that Workers' Comp fraud is out of your control, however, below are tips you can take to reduce the risk. 1. Get to know your workers' compensation insurance agent as well as individuals in the company who are involved in loss control. Centerpointe Insurance offers free risk assessments and Workers' Comp XMod Analysis to our valued clients. 2. Create a clear policy regarding workers' compensation. Employees should understand the program and their obligations. 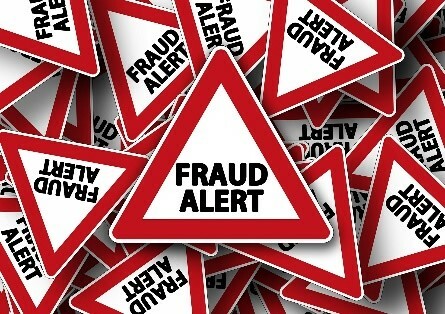 Clearly outline that suspicions of fraud will be investigated and legally pursued. Centerpointe Insurance is able to offer free employee handbook assessments to our valued customers. 3. Assign a designated workers' compensation medical provider for your employees to use. Work closely with the medical provider to ensure that the injuries are consistent with the explanation of the accident. Ensure they have a list of duties of the injured individual, so they are able to determine when that person may return to work. Also, ensure they have a list of light-duties you might offer which would get the employee back to work sooner. 4. Conduct investigations related to claims to ensure they're accurate and handled appropriately. Investigating the details will not only reduce fraud, it could lead to procedural changes which reduce the likelihood of that injury happening to someone else. Always ask for witnesses to explain what happened and look for inconsistencies or other red flags. 5. Be thorough in how you screen new hires. Conduct background checks to look for red flags such as frequent job hopping or evidence of previous fraudulent activity. While you cannot disqualify someone merely for filing a workerss' comp claim in the past, it could be a red flag if they filed an inordinate number. Even if the claims are legitimate, it could mean they do not follow safety guidelines. What is your agent REALLY doing for you? It's not just a renewal; It's a 12 month job! Insurance agents in general will tell you that they have your best interests in heart and will do their very best to lower your insurance costs. It's what happens after coverage is placed that really determines the true value of a relationship with your agent. With Centerpointe Insurance Services, the work is just beginning when we place your insurance coverage. After thoroughly investigating all your insurance exposures, we follow up with an exclusive set of services and products that sets us apart from all our competitors. Operating and managing a business these days is more and more difficult and can be overwhelming with all the new regulations and compliance issues. 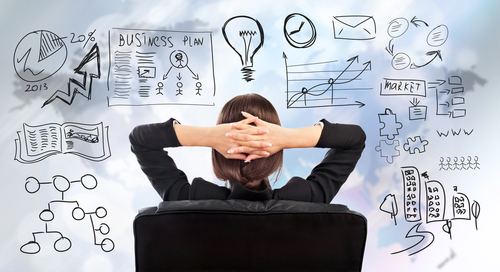 How would you like to spend more time focused on your business plan and also save money? At Centerpointe Insurance Services we offer the exact tool you need to help you accomplish those goals, and what is even better for most our clients, this tool is absolutely free. How would you like to make decisions based on the best professional advise you can get, and it is free. You can make as many calls as you like asking questions in the fields of legal, accounting, human resources and labor law, compensation, incentives & organizational planning, and workers comp safety programs. Sound too good to be true? This program is free to you because Centerpointe Insurance Services invested thousands of dollars on your behalf, making this one of the best business investments you will ever make. It is true; make the call today so we can enroll you. This program saves the average member $800 per employee per year. There is no reason you shouldn't be enrolled. Please call Robert Farmer or Cecilia Urcan for more information. We don't just renew, our job is empowering our clients to make the best possible business decisions. Every year you spend valuable time getting your loss runs to market your insurance. What you may not realize is that those loss runs can also be a valuable tool for your safety programs. Review your loss runs every year and look at what is happening with your claims activity. Focus your meetings and safety topics on the causes of those accidents. If you need safety meeting agendas please call us, we can offer a wide range of safety meeting topics that meet all OHSA requirements. Does your agent have an exclusively appointed person in the office to help you navigate claims issues? We do. Jim Doane, CIC is at our client's disposal every day to provide assistance on any and all claims issues. Let us do the work that you have been doing to settle nuisance claims issues and follow up with claims details. You haven’t talked to an adjuster? We will make sure your side of the story is heard and taken into serious consideration. Your losses dictate your premium. Reducing claims is the biggest single action you can take to reduce your insurance costs. Reducing claims is the biggest single action you can take to reduce your insurance costs. Reducing claims is in your hands; let us help you from prospective employment testing to driver safety programs created specifically for the towing industry. We can also help you with workers compensation costs. We have a new program that is designed to reduce the number of claims you have, to reduce the indemnification on any claim and what is best, the program costs and results are guaranteed. If your workers comp insurance costs don’t go down more than the cost of the program, you get a full refund. That is a 100% return on your investment. Please call us for more details. This program also includes a FREE full review of all you WCIRB activity for the prior 5 years to find any errors in processing, claims reserve errors and payroll miscalculations. 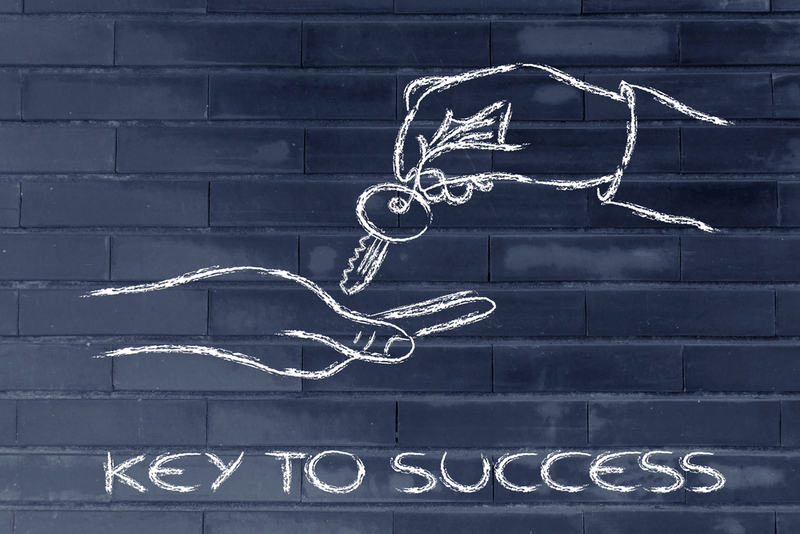 What is your agent's mission statement? “Providing an exceptional level of expertise and devotion to each customer’s needs, built on the foundation of mutual trust and integrity; and by focusing on uncovering risk exposures and providing solutions for a truly added value to the business relationship.” What’s your agent’s mission statement? What is their level of experience and dedication to your insurance needs? 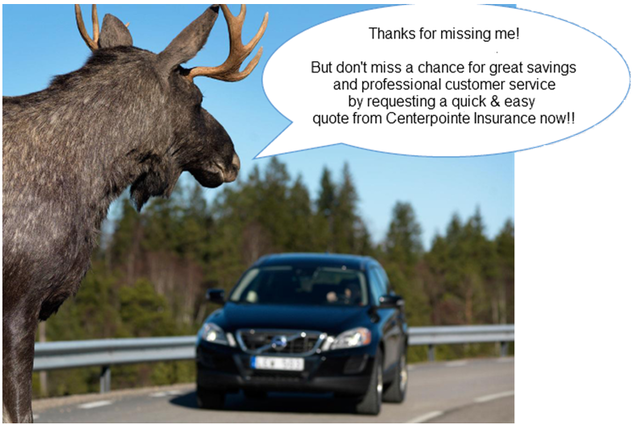 Centerpointe Insurance Services will focus on you, not just your renewal for all 12 months. For all the convenience e-mail has brought to our personal and professional lives, keeping our inboxes under control can challenge even the most brilliant of business minds. Have you found yourself saying I hate e-mails or I don’t have time to read all my e-mails! Getting to Inbox Zero every day may be impossible for most of us, however, we can get close. 1. Delete regularly — and ruthlessly! In an overloaded inbox, the Delete button can be your best friend! Routine communications that you are unlikely to need later are perfect candidates for deletion. Of course, if you’re at all unsure whether a particular business-related e-mail is important enough to save, you’d be better off erring on the side of caution, labeling and archiving it just to play it safe. If you determine later that it isn’t needed after all, by all means, delete it during your next archive-clearing session. Avoid the “Boomerang Effect” by sending only necessary e-mails. The concept is simple: The fewer e-mails you send, the fewer responses you’ll receive. Only include people who have a “need to know” on your business-related e-mails, and don’t be afraid to let colleagues know when no reply is needed (NRN). 3. Create filters to auto-organize your e-mails. Filters can help you do everything from skipping the inbox and immediately deleting nuisance e-mails to automatically labeling important ones, making them quicker to archive after handling and easier to locate when you need them later. They can also let you pre-label and auto-archive incoming messages that don’t require your immediate attention, so you’re less overwhelmed and better able to focus on the messages that need immediate handling. Take advantage of your e-mail filter function to organize your mail and simplify your life. 4. Archive most of what you keep and set aside time for regular archive thinning. Anything that’s in your archives is not in your inbox — a fact, which, simplistic as it may sound, can create an immense feeling of relief and a strong sense of freedom and control. Archiving is one important key to gaining the upper hand with e-mail — mainly because a packed inbox is distracting, demanding, and anxiety-producing. Even creating a “Current Work” or “High Priority” label and archiving items you need to work on in the next day or so is better than leaving them in your inbox where they create a perpetual drain on your mental energy and attention. Just be sure to check this folder on a regular basis and stay on top of these high-priority messages. Don’t ignore them simply because they’re out of sight. On a regular basis, choose a folder to thin out. Have any messages in this folder become obsolete or are they simply no longer important to you? If so, get rid of them. The more you delete, the freer you’ll feel. With certain folders, you may be able to delete all (or most) e-mails prior to a certain date. 5. Use labels to keep things organized and locate e-mails quickly. Label every e-mail you archive for ease in locating it later. When practical, use multiple labels, but don’t go overboard. 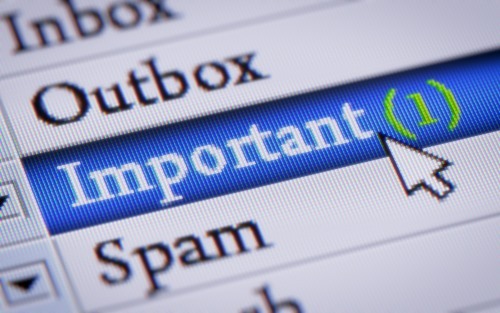 Labeling your outgoing e-mails before clicking Send can be a great way to keep track. When you need to find one — especially an older one — instead of having to look through your Sent folder, you’ll be able to search by label, which is often more practical, and which will also let you see other related messages at the same time. In Gmail, the recently added Inbox Tabs feature has also made organizing and prioritizing e-mails easier while offering some interesting insights for marketers. But, even with Inbox Tabs, labeling and archiving are still important. The more e-mails you can remove from your inbox, the better. When it comes to gaining control of your e-mail, some tactics work and others don’t. But, e-mail is only one aspect of your business. If you need help with your web site or business branding a BizAssure membership, exclusive to Centerpointe Insurance, can provide invaluable assistance at a fraction of the cost. If you haven’t discussed BizAssure with us lately please call us now! Think before you post! 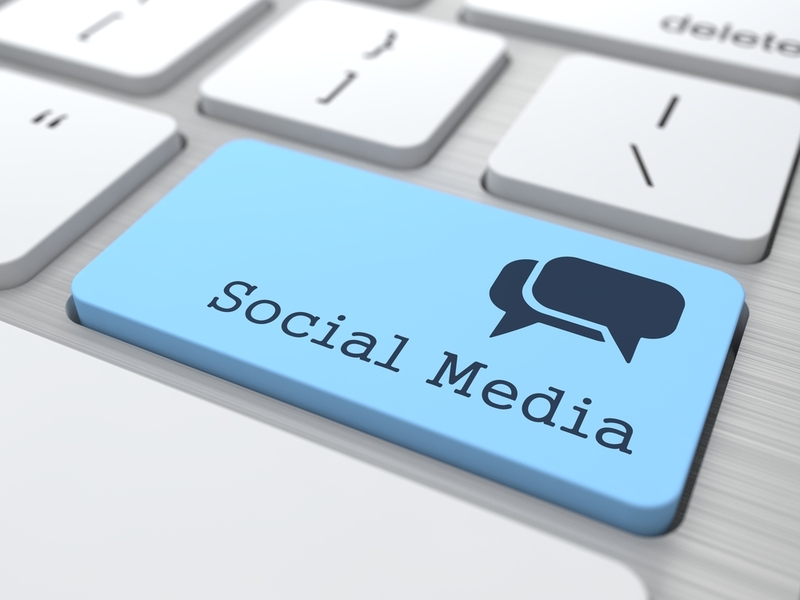 You may be surprised to know that the insurance industry often uses social media to assist in underwriting. Insurers are increasingly checking the web for potential property and personal risks and verifying your location and services. Posting some items which increase risk to an underwriter could possibly increase your premium or deny coverage. Make sure what you post as vehicles and items you tow are current and factual. Posting a classic car being towed might look cool; however, it might also make you ineligible for coverage from certain carriers! Don’t describe services you did, which you no longer do…for example, you used to haul heavy equipment and now no longer provide that service. If posted on your website, it may make you ineligible for coverage from certain carriers. Denying you have a guard dog and then posting a picture of your Doberman could pose an issue with your carrier. 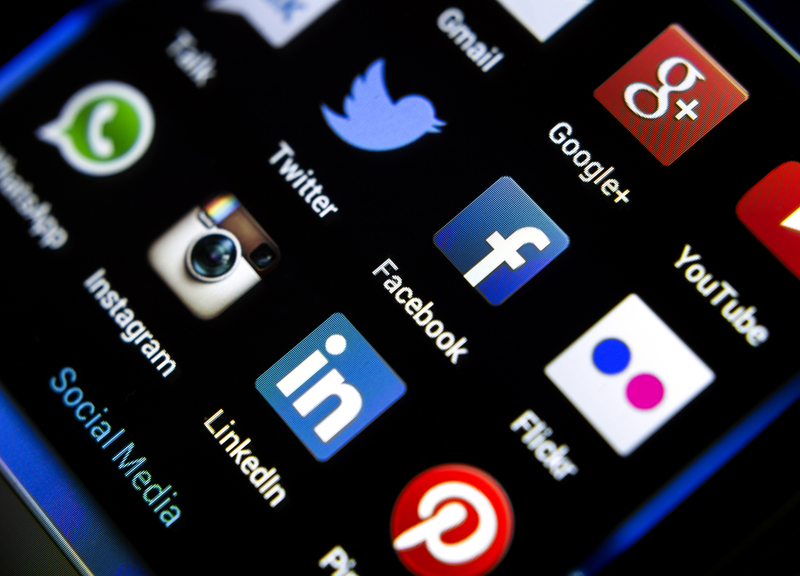 If you’re not using social media to promote your business, you may want to start! Social media is the new normal. 56% of Americans have social networking website accounts. 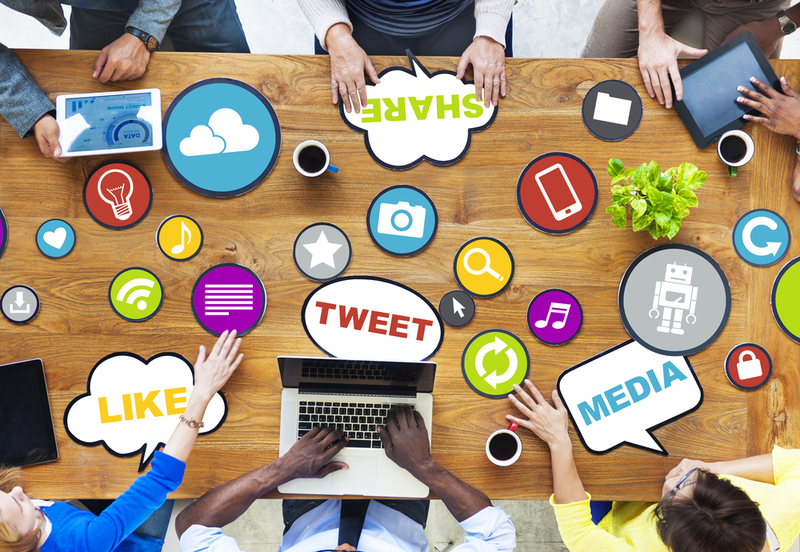 By creating a social media presence, you’re creating a new space to engage with your current and potential customers. Social Media helps generate new leads though allowing us to find and connect with like-minded businesses and customers. Keep in mind the kind of people you’re trying to reach and what interests them. Lets you personally interact with customers and makes your business a trusted resource. Remember Social Media is all about being social! Great opportunity to highlight your specialty and communicate what you want potential customers to know about your company.